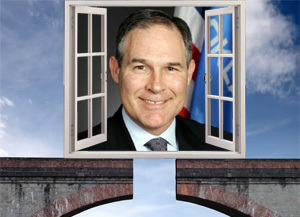 Analysis: Attorney General Scott Pruitt is Oklahoma’s man in the gap between increasingly intrusive Federal administrative law making and the Constitutionally protected Liberty Oklahoma citizens predominately prefer. Yesterday, in two separate efforts, Pruitt filed on EPA fouls and demanded more information on IRS and DOJ investigations of religious organizations. With a bipartisan group of 11 other states, AG Pruitt filed a lawsuit asking a federal court to invalidate a 2011 settlement agreement in which the EPA promised to issue the now-pending rule to regulate existing power plants under Section 111(d) of the Clean Air Act (CAA). This issue will directly impact every Oklahoman and, most harmfully, those of limited income fighting to pay electric bills. 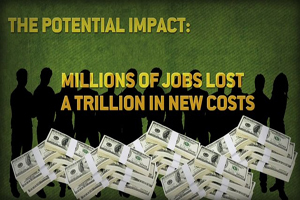 The EPA promised in a 2011 settlement agreement to expand its authority to regulate greenhouse gas emissions of existing power plants even though the Clean Air Act prohibits the agency from doing so. Now, the EPA has issued a proposed rule based upon the promises made in that 2011 settlement agreement. The lawsuit from the collection of states contends the 2011 settlement agreement is illegal because the law prohibits existing power plants from being regulated under section 111(d) since such power plants already are regulated under section 112(d) of the CAA. The lawsuit was filed in the D.C. Circuit Court of Appeals. The states that are a part of this lawsuit are Oklahoma, Alabama, Indiana, Kansas, Kentucky, Louisiana, Nebraska, Ohio, South Carolina, South Dakota, Wyoming and West Virginia. Click here for a copy of the lawsuit. AG Pruitt is also seeking information from the Internal Revenue Service (IRS) and the Department of Justice (DOJ) on promises the agencies made to investigate religious organizations and churches as part of a settlement agreement with an atheist organization. 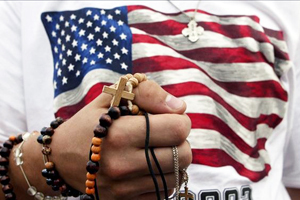 The Attorney General’s Office has learned that the Freedom From Religion Foundation is claiming it has reached an agreement with the IRS and DOJ to settle an ongoing federal lawsuit by the organization. 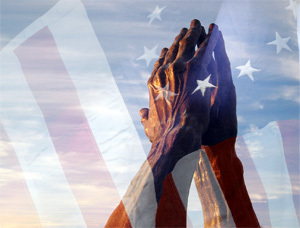 The lawsuit sought IRS enforcement of prohibitions against churches endorsing specific political candidates. 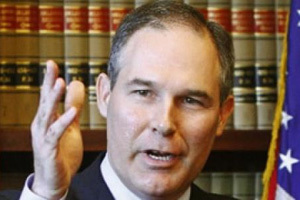 Attorney General Scott Pruitt has sent letters to both the IRS and DOJ seeking information on the settlement agreement, communications between the federal agencies and the atheist organization, and documents outlining the policies and procedures of both agencies for reviewing, evaluating and determining whether to initiate church investigations. “The founders of our country devoted the First Amendment of our constitution to ensuring the right to exercise our faith. The First Amendment also enshrines our right to free speech which at its core protects our ability to engage in the political process. At the intersection of those two fundamental rights lies the right of religious organizations to encourage their members to engage in the political process in a manner consistent with the core tenets of their religions. It’s alarming to think the IRS and DOJ have entered into an agreement to investigate religious organizations to settle a lawsuit with an atheist organization bent on destroying those rights,” Attorney General Pruitt said. Click here for a copy of the DOJ letter and click here for a copy of the IRS letter. In the following video AG Pruitt is interviewed by Fox News on the DOJ and IRS letters. This entry was posted in State on August 6, 2014 by admin.